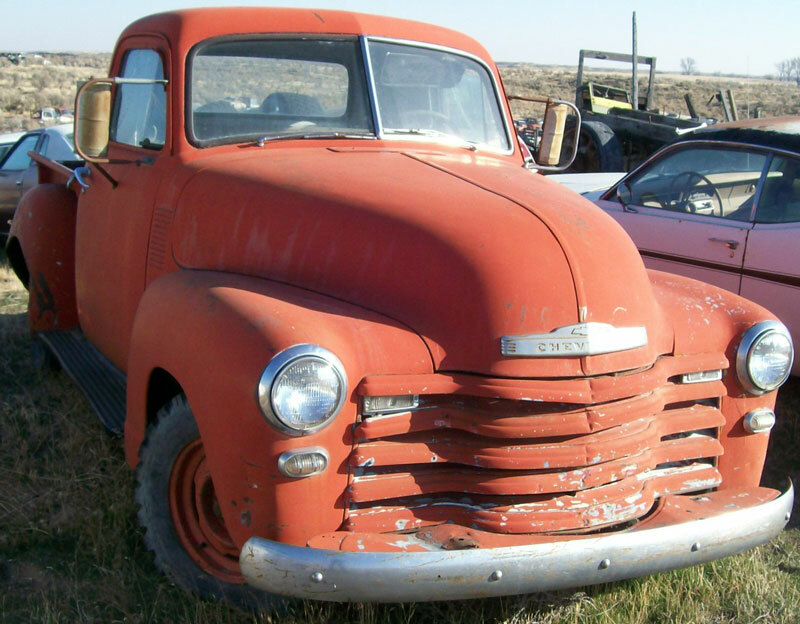 This red 1951 Chevrolet Series 3100 1/2 ton 116" SWB commercial pickup truck is a mostly complete classic truck ready to be restored or customized. The body has solid and dry western desert sheet metal. The front fender tails at the running boards, lower cowl and rear lower cab corners are solid, except there is a little rust starting in both cab corner bottoms. 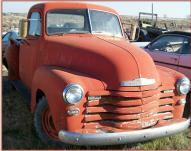 Usually rust is found in these areas of most 48-53 Chevy trucks but not this one. The grill has some dents and bends. The front splash pan has some dents and bends. The truck has an optional chrome front bumper. The running board sides are dented. The left rear fender is out of position. The tail gate is not stock and there is no rear bumper. The backs of both rear fenders are dented. There is a dented area in the front of the right rear wheel well. The tail bottom of the right rear fender has been cut away. There is a little rust in the right inner rocker under the door. The truck has add-on front fender turn signal lights. and add-on tow mirrors. 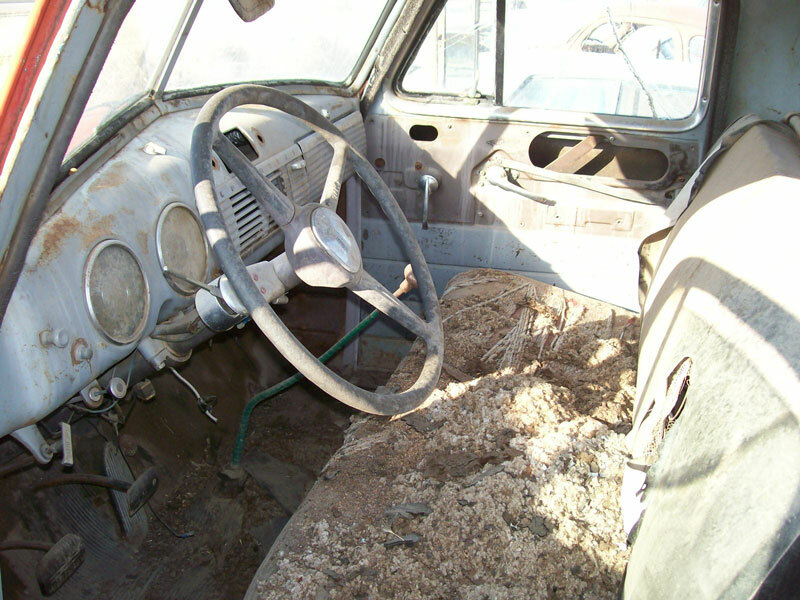 The interior is complete except the radio and right door panel are gone. The right speaker grill bars have been cut away. All the gauges and controls are there. 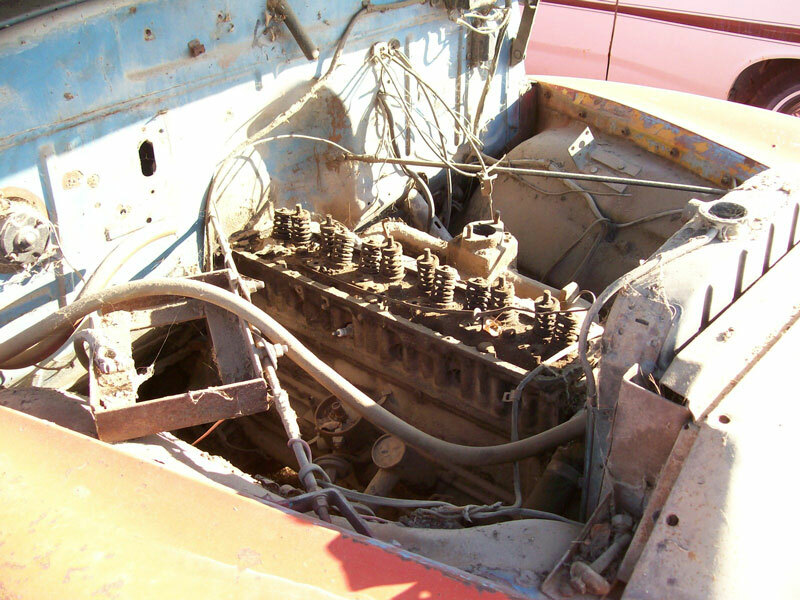 The 216 CID OHV motor is missing the valve cover, carburetor, air cleaner, distributor cap and horn. The engine compartment battery rack is not stock. The four speed manual floor shift transmission and drive train are there. 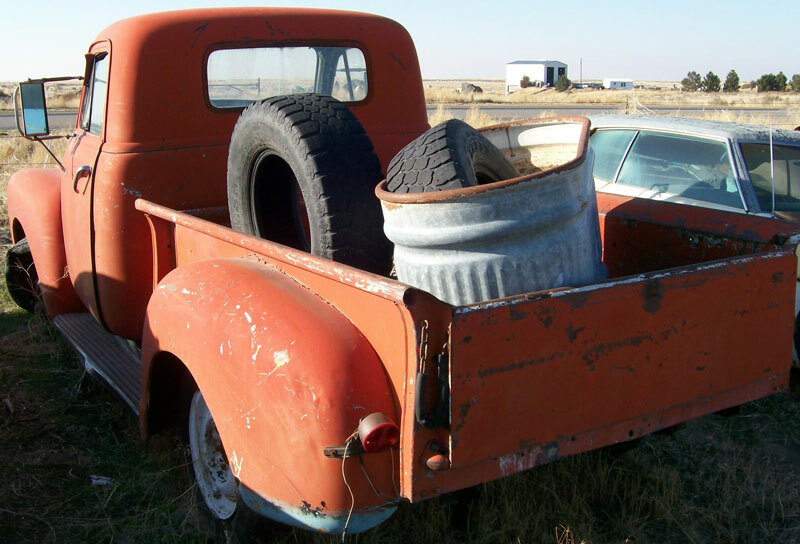 Here is your opportunity to restore or customize a 51 Chevy pickup with solid sheet metal.